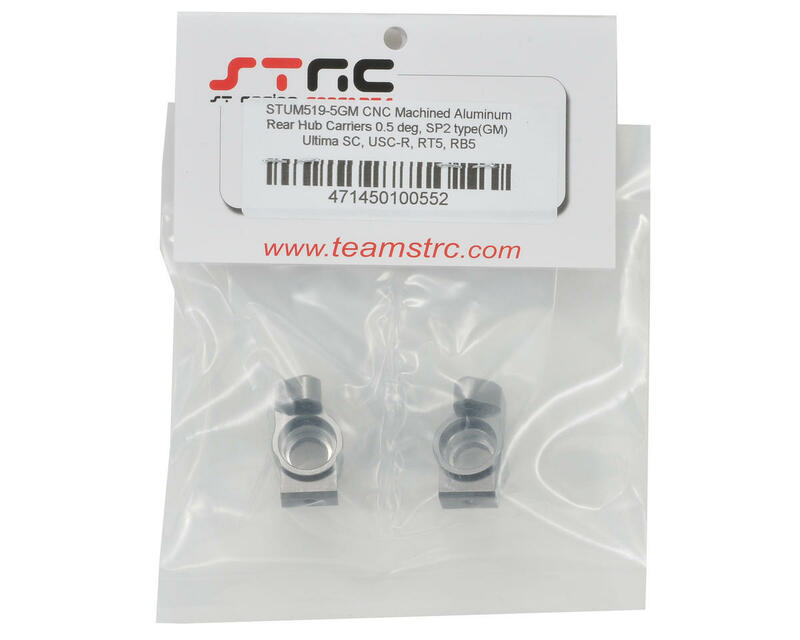 This is an optional ST Racing Concepts 0.5° SP2 Style Aluminum Rear Hub Carrier Set. CNC Machined from high-grade aluminum, these hub carriers feature additional camber link holes for more suspension adjustment, and 0.5° of toe-in, providing another tuning option for your Kyosho off-road cars or trucks. 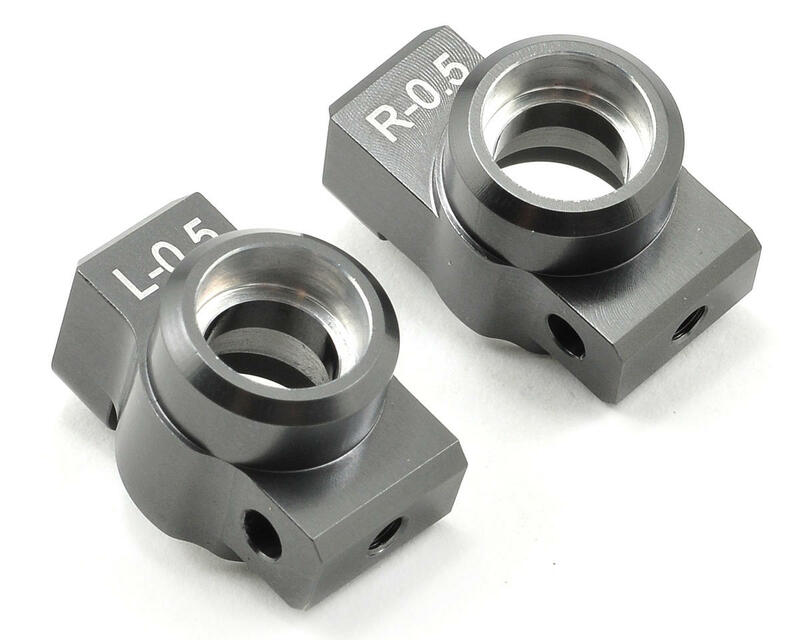 The bearing holes are CNC machined after anodizing to ensure the most precise fit possible, while the set-screw on hinge-pin design allows for a perfect fit and prevents the hinge-pin from wearing down the hub carriers.